Crisp and elegant, white is a color capable of endless subtleties. There are literally hundreds of shades of white, ranging from cool and icy, to warm and earthy, to soft and creamy. 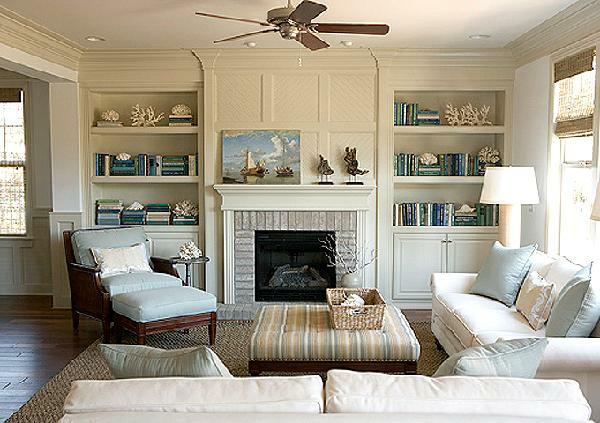 When used in decorating, no other color has the versatility of white. Light and airy, white opens up the smallest spaces and brings cohesion to large rooms filled with furnishings. On it’s own, white is fresh and simple. Use varying shades and textures of creamy whites with reclaimed woods, plants, flowers and shells, and it becomes natural and organic. Combine with black, industrial metals, glass, and geometric art, photography, and sculpture, and the look becomes sleek and modern. White can add definition to a room or it can provide the perfect background to make other colors pop. So whether you want to create a clean and crisp feeling, or bring sophisticated drama to your décor, why not consider interior design ideas in white?